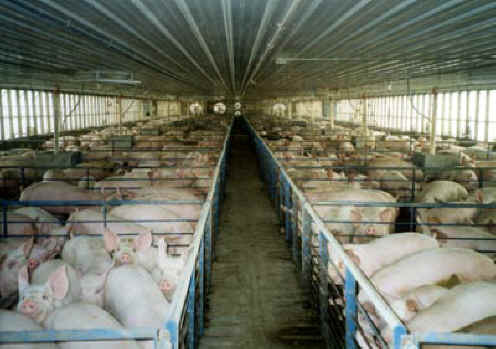 (Pig Exploitation - Factory Farming - 01) After young pigs are stolen from their mothers, they are brought to another concentration camp like this one with its concrete floor and steel bars. They never get to walk on a grassy field or feel the coolness of a mud puddle. They just live in misery.